Are you the leader, like Julian? The tomboy, like George? Or as loyal as Timmy the dog? Meet the five sleuths who show all the rest how it’s done. 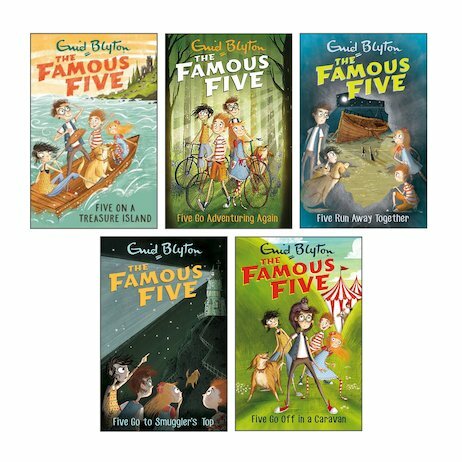 Mystery-busters The Famous Five are loved all over the world. They’re as classic as Coca-Cola. And now their books have a new cover look! They look great outside – but what’s inside? Lots to make you very happy! Daring missions, clifftop picnics and spooky ruined castles. Seaside bike rides, sinister smugglers and cryptic crimes! The first five series books – a great place to start!